USA SHADE Canada is one of the undisputed leaders when it comes to providing shade for parks, playgrounds and more. This innovative and well-respected shade structure manufacturer is prized by Canadian businesses and property owners for the quality of its shade structures and for its uniqueness and design. If you have a hard-to-shade area because of the size of the space, or if you have specific shade requirements you just can’t meet any other way, USA SHADE can help. 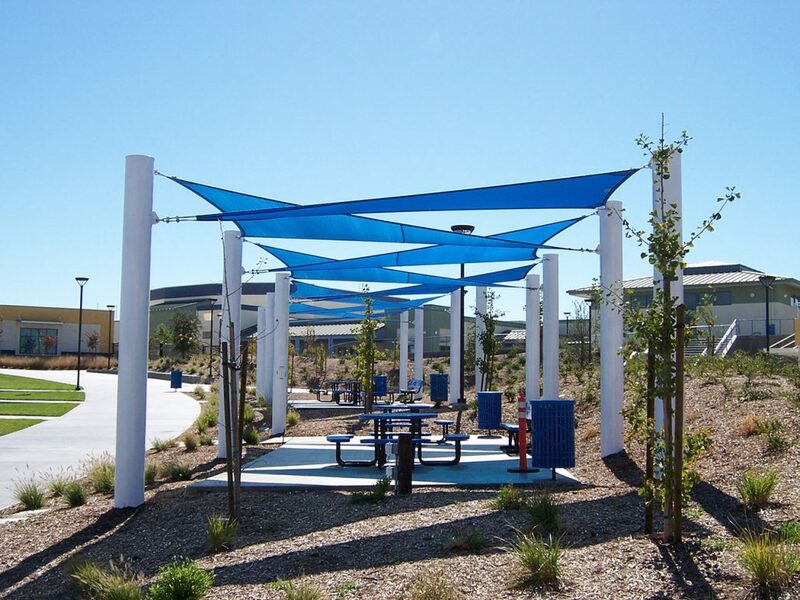 What Type of Shade Structures Are You Looking For? USA SHADE Canada shade structures are known for their unique and innovative style. If you can’t find it anywhere else, chances are we either have it already or will be able to create it for you. Do you want shades in the shape of butterflies or unusual shapes? Do you have peaks and valleys on your property you need to cover with shade? With USA SHADE, it’s not a problem. In addition, all products have a high protection factor from sun damage, protecting both your visitors and your playground or park equipment. Made to last, shades from USA SHADE Canada are a great long-term investment for your community, playground or park. These shades will last and can withstand a variety of weather elements. These shades are made to withstand the types of weather conditions in Canada that can affect your park, playground or outdoor area and they create structures specifically for that. All USA SHADE products meet or exceed safety standards and guidelines for sunshades. Want to learn more about our USA SHADE structures? Get a custom quote today! Today, proper sun protection is more important than ever before, and the reality is that if you have any outdoor space, you need quality sun shade solutions. USA SHADE Canada are truly pioneers when it comes to shade structures, and we can work closely with you if you have custom needs. We offer a team of engineers and local representative in Canada to ensure the highest quality every time – get a quote today!